Our website hosting bill is up for renewal next month, and once again, we are not at the desired funding level to proceed with our site hosting costs. While we do make some ad revenue, ad revenue has been dropping across the internet. Companies aren't willing to pay for online ads like they used to. People are more likely to go to facebook and ask for an answer instead of searching for it through forums like this one, thus reducing our ad revenue due to decreasing views. We have upgraded our hosting capabilities a few times in the past years, resulting in 99.9%+ website uptime (which I'm quite proud of). We have also recently upgraded the www. side of offroadtb to finally get both sites under a unified theme. The issue is that currently we are $212 under-budget for the upcoming annual hosting bill (yes, good reliable hosting is surprisingly expensive! $486/yr). So, I'm asking for your help in funding our site. If you think that our site is worth supporting and can spare a few bucks, please follow the link below to our paypal donation page. If not, no big deal. If you would like to write a solid article for the www. side of the site, contact me or Mason. Adding good content is also a great way to support this site. Alternatively, I still have a few decals left (found here: viewtopic.php?f=6&t=2995). The purchase of the decals also includes a small donation for the site. Your help and support is much appreciated by the whole team, myself especially. Thanks guys! Appreciate the donations! I'll try to get those decals in the mail this weekend. Just ordered a couple more decals and donated a little! Thanks James! Thank you for the donations! Much appreciated guys! Those that ordered decals should have received a shipment notice from paypal from me. They will be in the mail tomorrow. Got the shipment notice, Thanks! Also may have a little more donation money after I pay for all my lights. They were cheaper than I was expecting. JD posted this information and the link on 5 fan pages on facebook. I know I driven some new owners here for information, along with donating $25. Forgot to update, I got my decals. Thank you James! Are we closing in on our goal? Goal met as of today! Thanks everyone for the donations and decal orders! I'll try to get those new decal orders out asap! Trail X wrote: Goal met as of today! Thanks everyone for the donations and decal orders! I'll try to get those new decal orders out asap! That’s great news JD glad I could get the word out. Great! We can keep spreading the word about the website! 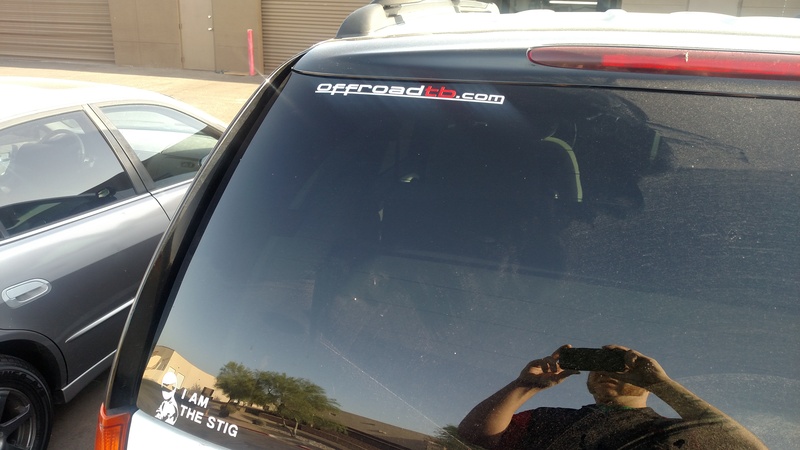 Are there still ortb decals available? First post has link to order decals. Last edited by Flyingfischer5 on Sun Aug 19, 2018 5:25 pm, edited 1 time in total. We're in a bit better spot this year than last year regarding budget, but as with every year, our hosting bill is up for renewal in April. I'm here asking you if you found the forum helpful, please feel free to donate using the donate button below, OR, purchase some decals (viewtopic.php?f=6&t=2995). 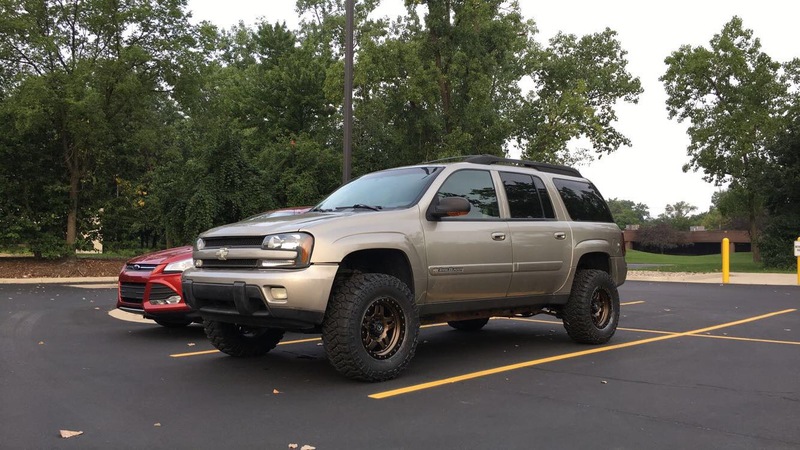 I was looking through our member list today, and remembered that this year marks the 10 year anniversary of offroadtb.com! 10 years... that's crazy. 10 years of archives, conversations, and friendships. 10 years of trailblazers being off-roaded. 10 years of community growth. Excuse me while I wax poetic here, but its kinda cool. Its been nearly a 3rd of my life now - and looking back, I got a lot of great experience and knowledge from working on my truck. I hope most of that experience and knowledge can be passed down to new guys that have the wherewithal to actually search and read the archives. Anyways, as facebook groups rise in popularity and forums across the internet decline, I hope we continue to point new people to the resources found on this site, and that we don't forget where we came from here. Not that I'm saying we need to remember that we came from Trailvoy... but lets try not to forget about these wonderful archives when we are providing solutions to other people on other forums, Facebook groups, Instagram, or whatever comes next. Forums will remain a great, searchable, library of information. As before, your help and support is much appreciated by the whole team, myself especially. Thanks for making it a good 10 years. 10th Year Anniversary ride BRO!!!! come on! !